With my recent experience in SAP S/4 HANA Migration cockpit in my role as SAP Finance consultant, where we migrated Asset balances,Exchange rates and GL balances with LTMC XML template, i would like to explain the step by step process of using LTMC Tcode. There have been many blogs explaining the usage of Migration cockpit of SAP. In this blog, i am trying to explain the step by step process of how to use the transaction code LTMC. 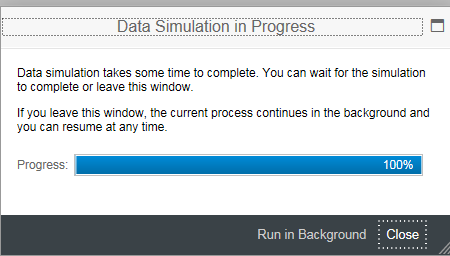 The use of LSMW for data load to SAP S/4HANA is not recommended, hence an SAP Migration cockpit has to be used for migrations. By end of this blog you will be able to browse through the LTMC tcode and understand the process and functions of Migration Cockpit. 1)Standard XML template provided by SAP for each migration object and can be customized according to requirements. 2)User friendly and predefined process, with validation and simulation in place . 3)Useful for Master Data Migrations,open item migration, balance migrations,Asset migrations,etc. 4)Errors can be corrected on the fly. All the available objects are copied automatically as per below screenshot. 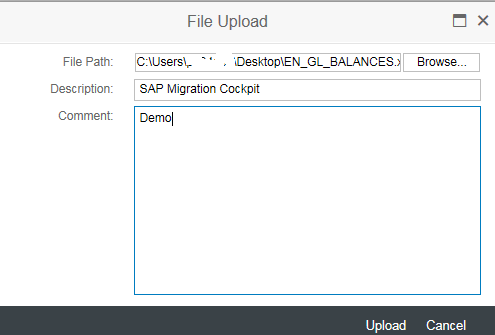 For the purpose of Demo i have selected migration of GL balances . Once you fill the template, please upload the same using upload icon. The task item is created once the upload is done. The below screen will appear once the transfer is successful. It can be seen that data will first get validated and then converted. After the successful validation click on next icon. Similarly clear all the error by selecting each line and saving the same. In My next blog i would try to give some Insights on new functionalities of S/4 HANA around the transaction Code SE16H ,Use of Worklist in Assets and CO-PA Realignment. Thanks for the step by step…in the case of operational upload, e.g. : upload of journal postings, do we still use migration cockpit? Yes this can also be used in operation upload for journal postings, customization is possible . Thanks for your sharing. Could you share about upload for Chart of account by Migration cockpit? I tried to create a project on S4hana1709, i shoose the default view on premise – entreprise management scope. But when i download the the template, the template is empty. Did you activate all the required services in SICF. Looks like service DMC_WDA is not activated. Question (apologies if this is stupid). But is this functionality only to load data / extend data? Or can I use the same to make changes to existing data? Previously we used LSMW but now we have issues with LSMW where we have to set certain logical file paths using SFILE. Definitely this can be used as a replacement of LSMW and can be used for extending the data. Unfortunately i have not worked on this, but custom objects can be created for the same. I’ve read almost every blog under the sun for this topic and I cannot find a case where it mentions the ability for Migration Cockpit to change data. It only refers to uploading data using various options; files, staging tables, SAP etc. So unless I missed something MAJOR, it seems that this new functionality is still in its infancy and has a lot more to offer in future releases..
PS. 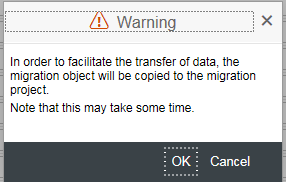 If anyone else has experience changing existing SAP data loaded via Migration Cockpit, please could you share some information about this (using Migration Cockpit)? Sorry Austin , I have not worked on change of data using LTMC, but what I know is this can be customised. Appreciate any other help on this subject. 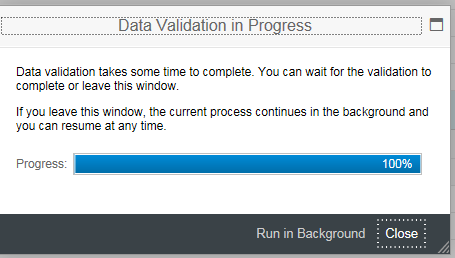 LSMW alternative on HANA … surely there is something to change data in mass..? Do u have idea about this issue?? LTMC only allowing creation ??? right?? Are you using LTMC standard to change the master data? Coming back to your comment I found an Object to extend BP’s in LTMC.. but still cannot find a method to make changes (besides Mass change – that is very resource intensive for BP for some reason). Yes ..am using standard LTMC standard template only. LTMC is allowing creation only. finally i used LSMW for changed master data. 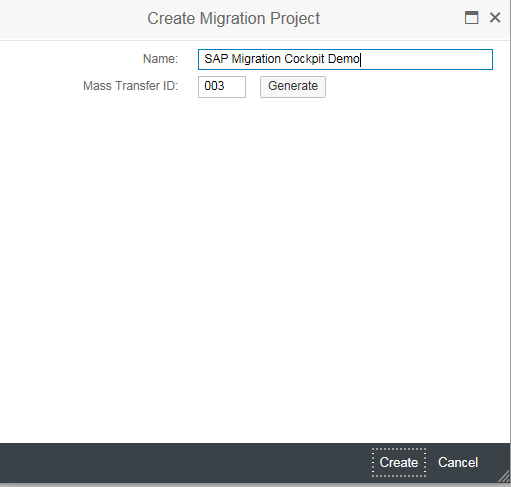 We are about to use Migration cockpit from SAP ISU to SAP HANA. does the objects in MC are ready to use for ISU? I’m new in ISU. I understand that ISU is quite different from ECC system. however they share the same objects.